Lunch is served most weekdays (Monday-Friday) in the stunning environment of the Hall. Members of the Inns of Courts and their guests can enjoy the extensive lunch menu available between 12.30 and 2pm. For information on when the Hall will be closed, please click here. If you are not a member of one of the Inns, but would like to lunch with us in the Hall, please pre-book via the events team, either by phone or email. A Hall lunch booking can also be preceded by a tour of the Middle Temple buildings and grounds, led by one of our expert guides. If you would like to take advantage of this combined experience for your group, please mention it when booking, and the events team will arrange suitable times and dates. Lunch is an informal meal and the dining regulations do not apply. Members should bear in mind, however, that Hall is the luncheon room of a professional body. The dress code is business suit, court dress or smart casual dress. Jeans may be worn if both clean and smart. We do not permit guests wearing inappropriate/ripped/dirty clothing. Shorts are not permitted at any time. Middle Temple reserves the right to refuse entrance to the Hall, without refund, if guests do not follow the dress code accordingly. Guided tours are available around the historic and awe-inspiring buildings of Middle Temple. You will feel as though you are going back in time as you walk down cobbled lanes flanked with gas street lamps towards one of the finest Elizabethan Halls in the country. The tour will take you into Middle Temple Hall with its magnificent double-hammer beam roof which was completed in 1573. Generations of royalty have all dined on our 29ft oak High Table – reputedly a gift from Elizabeth I herself. Sir Walter Raleigh and Sir Francis Drake have been known to dine in Hall. It is also said that the first-recorded performance of Twelfth Night took place in Hall in 1602. Tours are subject to availability and must be pre-booked through the Events Department on 020 7427 4820. A minimum number of 10 people are required for a tour which costs £8.00 per person. Tours last approximately 45 minutes. For the increased price of £12.00 you have the option to include tea, coffee and biscuits as part of your tour. 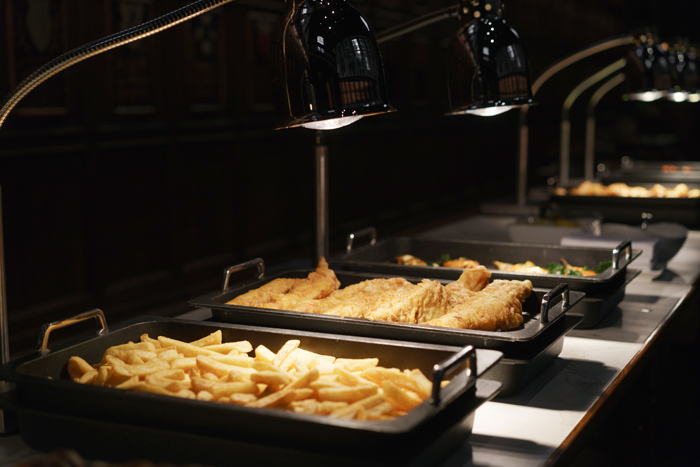 Our lunchtime offerings include an extensive cold table, a selection of hot dishes, a carvery and a dish of the day cooked to order. 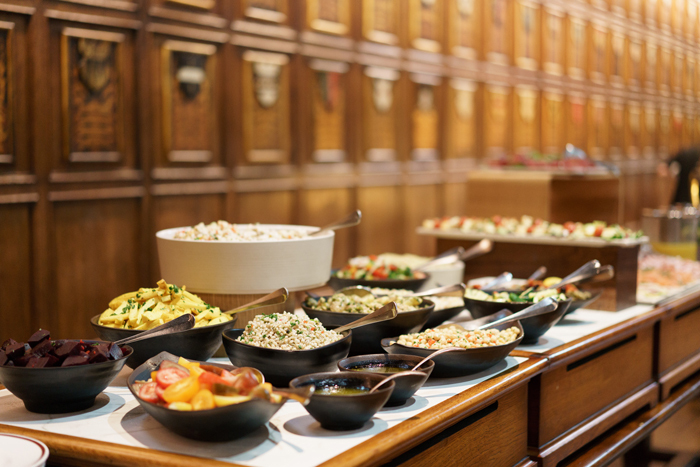 Prepared by our skilled catering team and using the very best, fresh ingredients our lunches are designed to delight your taste buds and match the impressive setting of the Hall itself. To view the weekly lunch menu, please click on the link on the right-hand side. Throughout the year, our catering team create a variety of themed lunch menus, celebrating events such as National Butchers’ Week, St Patrick’s Day, World Vegan Day, National Chocolate Day and many others. For more information on these events and other Hall promotions, please visit our news page, or contact the banqueting team directly.